Varun Dhawan and Kriti Sanon are sharing screen space with Bollywood’s most romantic couple Bollywood, Shah Rukh Khan and Kajol in Dilwale taking shape in Rohit Shetty directorial. Varun Dhawan and Kriti Sanon play the second pair and there are two love stories going in the film. Kriti Sanon says, “Rohit sir has made sure that everyone has a separate track and each of the character has its importance and own space to standout. No one can compare us to Shah Rukh –Kajol and we didn't even imagine in our dreams that we'll reach this level. We at least hope we reach to create half the magic the duo create on screen. 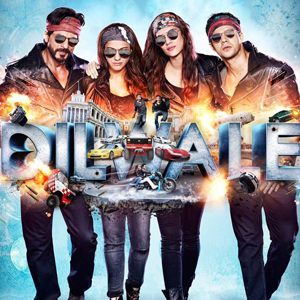 Rohit Shetty’s Dilwale is slated for a grand scale release on December 18, 2015.